Its a good tracker, just needs a bit tweaking in the layout. If you don’t download anything with your account and want to add it to your collection you have something coming. If your account is not used to download anything within 60 days it will be removed from the system. We want active members not collectors. Very nice hd Tracker guys, they have internal groups and , plenty of internal releases and Tv episodes are all 100% free so it’s easy to maintain a decent ratio. Good tracker,definitely needs more members, High quality internal encodes what I like about internal encodes is they have HD audio and pgs subs same as BluRay. I read somewhere that this is a new style is that true? Because I somehow don’t see anything. We will have only one theme with a new layout, it will not look like anything the site has now smile1.gif BluEvo is one year old in September so we will have site wide freeleech and hope donations will still come in regardless of the freeleech set. New changes will take place from the beginning of December 2013. Surprisingly impressed by quality encodes,not a massive fan of the 72 hour minimum seed time (would prefer 48 hours). same here , had these problems when i joined , but i have got used it to so not a problem now. I’ve been a member for just over a month now and i can safely say that I’ve found a home where to get my HD movies.Over the last month I’ve seen this site expand with more members,forum involvement and most importantly friendly staff and members that treat each other with the respect that we all deserve. Although young I feel it has a lot of potential to be one of the best HD movie trackers in the future and would recommend anyone that is looking for a HD movie site to join. It’s not hard to maintain a good ratio there at all. 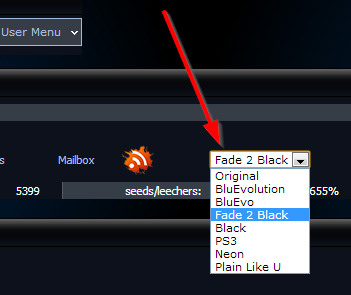 A cheap $20 seedbox should help you get along fine.The encodes there are absolutely the great.They are exceedingly serious when it comes to quality, especially with their internal encode team. You will notice the encoders put a lot of attention to detail. I would recommend this tracker x1000 times to those who have a good eye for quality. Very nice tracker that focuses on high quality releases. I’m loving it so far. they are still open , good looking site , many HQ Movies and tv shows. Blah site, with blah material. Stick with CHD,HDW, and BitHQ. its open for sign ups at the moment. Thanks for sharing,looks like a good site. Great tracker… It’s starting to become one of my favorite trackers for HD movies.Great place to be a member on! The site is down, and has been for about a week. Any news on if it is just temporary? The site host itself is up, and the tracker continues to function, but the web server is down. Apparently there is a problem with the NginX web server configuration which is taking longer to resolve than anticipated. My favorite torrent site so far. LMAO. With all due respect to Blu-Evolution, you must not be a member of many trackers. “Sorry, but registrations are closed. come check out the site and stick around for a bit I am sure if your into HD then you will love this site cause it’s amazing! when will invites be open again please? Is the website down for anyone else? it´s closed, when open signups again? Blu-Evolution failed to adapt/evolve to use payment methods other than PayPay and so became extinct. One can but hope that the quality encoders who found their home at Blu-Evolution join up with some other private tracker. The site is closed for good, you guys need to update the status. It was good while it lasted but there’s plenty of other good trackers to join. Anyone know anywhere else for 10 bit encodes?